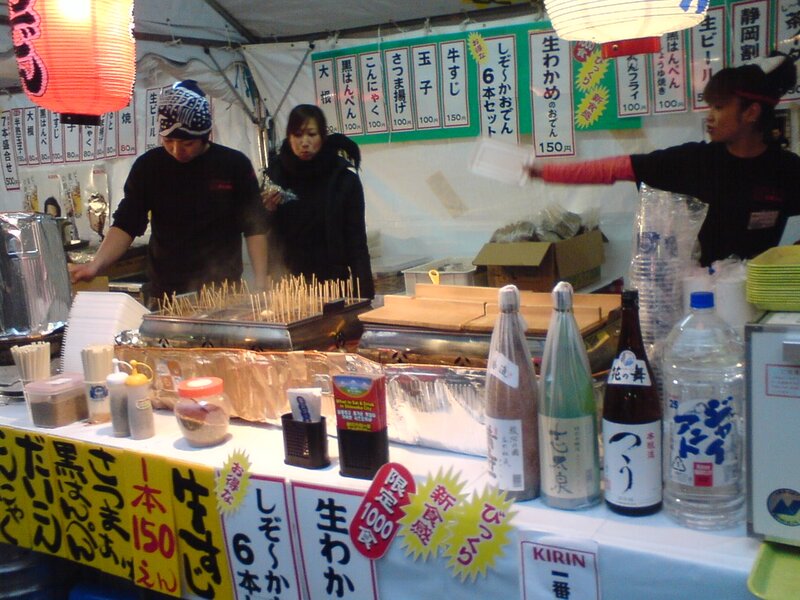 The 2010 Shizuoka Oden Festival kicked off today! I made a quick visit in-bewteen work to have a quick snack! 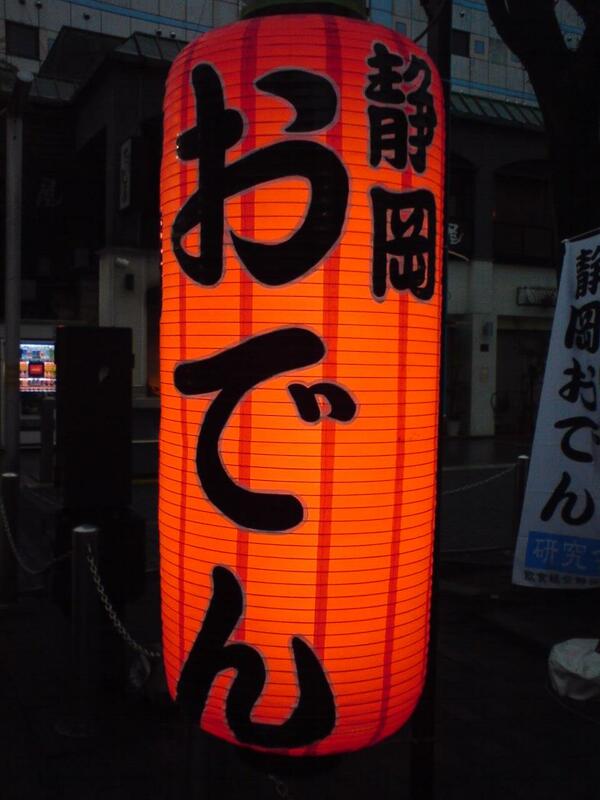 Going to the Aoba Koen/Aoba Park Street behind the City Hall, one just could miss it clearly markde as it was giant red lanterns with “ODEN” wrote on them (in Japanese only, mind you!). Now, choosing one was a bit of a dilemna! 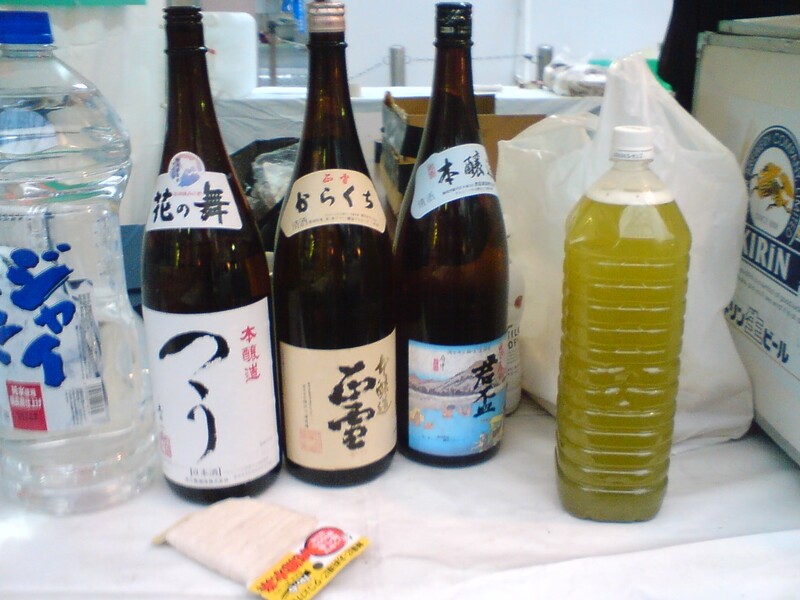 Knowing that the festival would last until Sunday, I decided to wait until a particularly big and troublesome local TV crew left the premises to get some hot food and a glas of local sake! 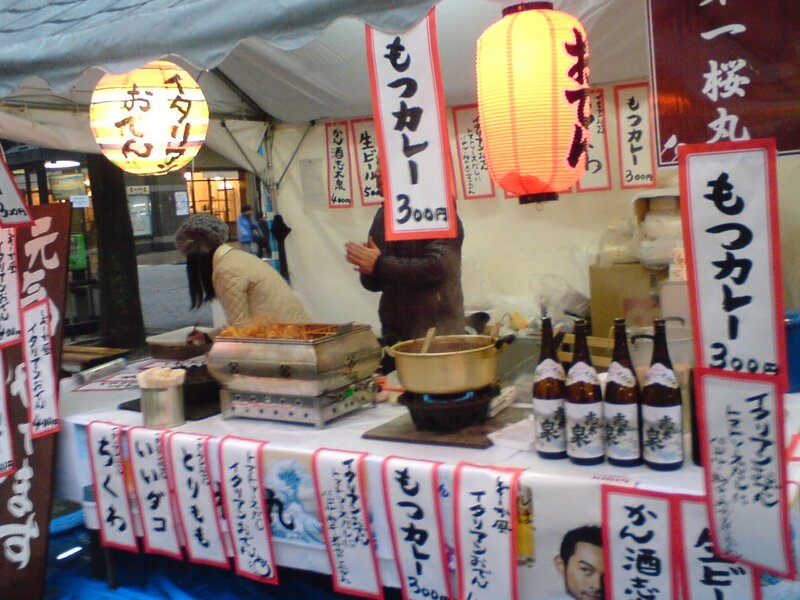 The great thing about these oden foodstands (they actually were held by regular izakaya in town) is that most of them made an effort to serve local Shizuoka sake. Above picture shows Masu Ichi Brewery (Shizuoka City), Shidaizumi Brewery (Fujieda City) and Hana no Mai Brewery (Hamamatsu City)! 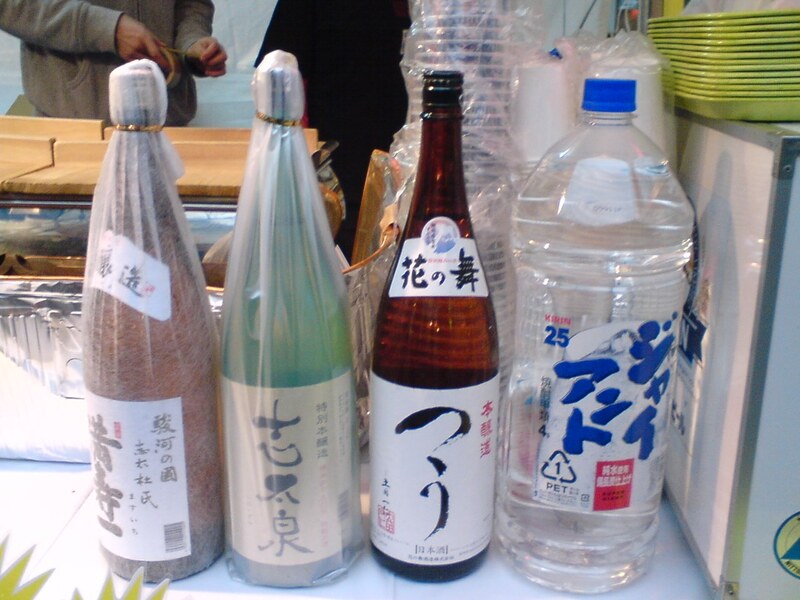 Hana no Mai Brewery (Hamamatsu City), Kumpai Brewery (Shizuoka City) and Kansagawa Brewery (Yui)! 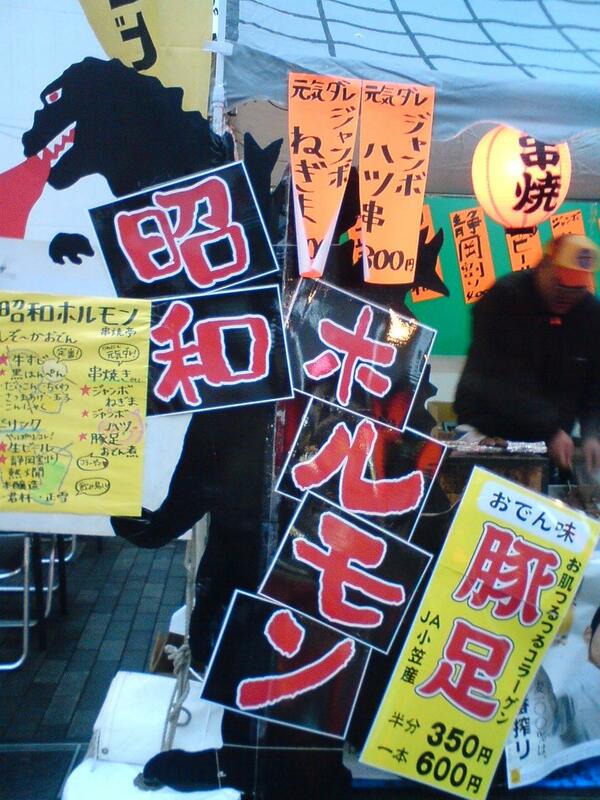 This foodstand had been erected by “Showa Hormone Izakaya, south of Shizuoka JR Station. 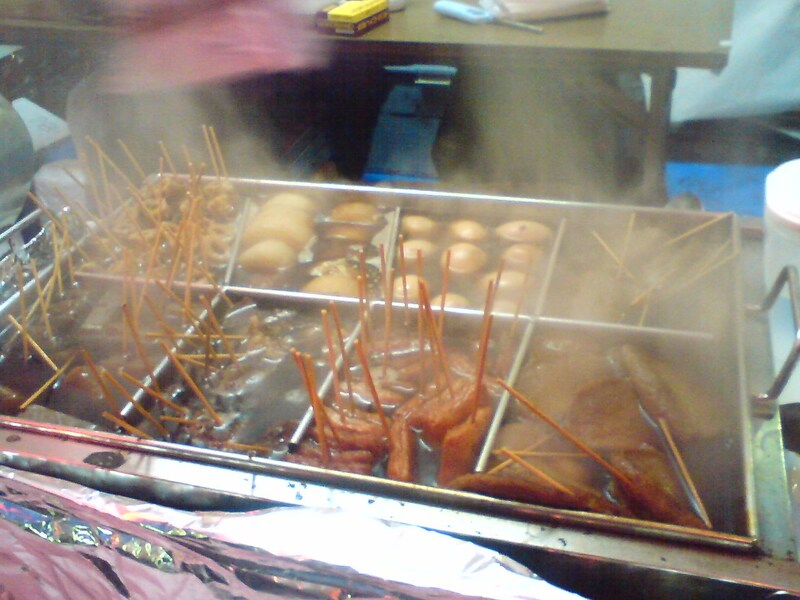 All oden were very typical of Shizuoka-Style (almost every region in Japan has its own style) oden. 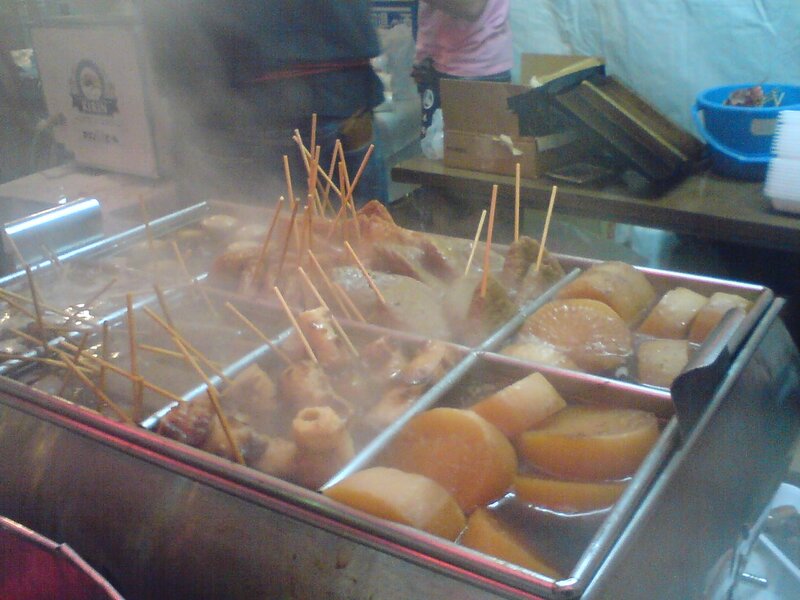 In Shizuoka, most oden are skewered with a stick for easier consumption. 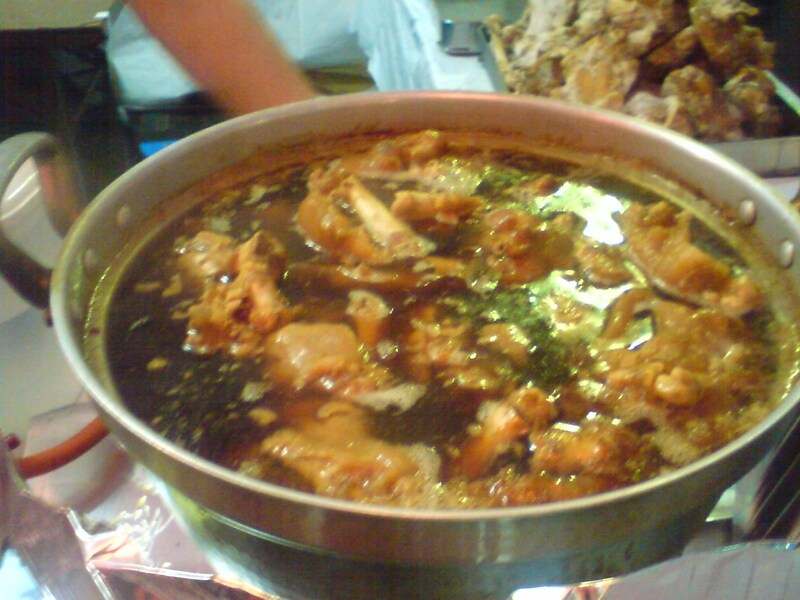 “Motsu/kind of tripe”, also very popular here!